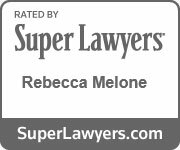 How to avoid or reduce probate in Virginia | Melone Law, P.C. Is it Possible to Avoid Probate in Virginia? The short answer is no. It is almost impossible to completely avoid probate in Virginia, but you can reduce the number of assets that need to go through probate. Many people have a negative view when it comes to probate. It may stem from a personal experience or from horror stories you’ve heard from friends. In Virginia, an estate will need to be probated when a person dies with property valued at more than $50,000. So, to avoid probate, you must die with either a very small estate, or you must take steps to make sure that your assets transfer automatically to beneficiaries. 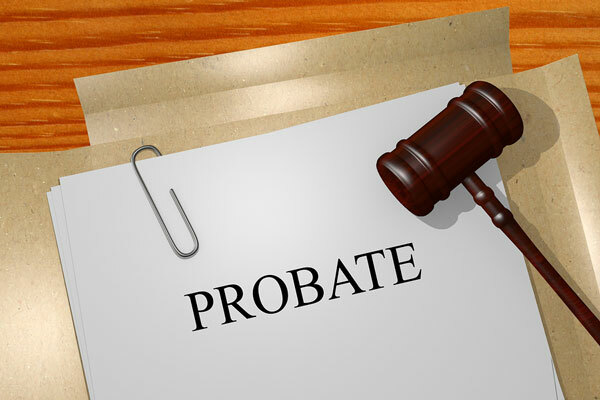 Probate is the process that the Commonwealth of Virginia uses to oversee the distribution of someone’s estate after death. Its purpose is to prove that the last will and testament of the deceased is valid, the decedent’s debts and bills are paid, final tax returns have been submitted and paid, and the decedent’s property and assets are distributed to the beneficiaries, per his/her wishes. Depending on the size and complexity of the estate, probate can take as little as a few months, or as long as several years. What can I do now to avoid probate? Consult a Virginia estate attorney: The best way to avoid probate is to work with an experienced estate attorney. Your attorney will itemize and analyze your assets, listen to your plans, ask the right questions, and help you create the documents that will fulfill your wishes now and after you have died. Create a revocable living trust: A revocable living trust is created during your lifetime. You transfer your assets, such as your home, vacation home, cars, bank accounts, investment accounts, etc. into the trust, and manage and use them while you are alive. Upon your death, a named successor trustee distributes your assets to your beneficiaries per your wishes, usually within weeks. Because legally, the trust owns the assets, your estate does not have to go through probate. A revocable living trust is a flexible document that can be changed or even revoked at any time. Add beneficiaries to appropriate accounts: Many checking, savings, money market, retirement accounts, pensions, life insurance, and other accounts allow you to add a beneficiary directly to the account. After your death, the money in these accounts passes directly to your named beneficiaries without having to go through probate and can be used immediately. Transfer or pay on death accounts: This is similar to adding a beneficiary on your account(s). You can designate a person or persons to whom the account is paid upon your death. Joint tenancy with right of survivorship: To ensure that real estate does not have to go through probate, you can change your sole ownership of property to a joint tenancy with a right of survivorship and make your intended beneficiary the other co-owner of the real estate. This will enable the other co-owner to take control of the property immediately, upon your death, since the title will remain with them. Transferring property now, not after death:You may begin gifting property like jewelry, collectables, and art, as well as money, prior to your death. Since you never know how your financial situation may change in the future, it may be best not to gift significant amounts of money now. Virginia tax laws allow you to gift up to $14,000 in assets annually to each beneficiary without gift tax collection. No Contest Clause: This does not avoid probate, but it can prevent your will from being drawn into a long and ugly probate process. If a beneficiary contests your will, he/she will be risking their inheritance. The no-contest clause states that if the challenge is unsuccessful, they will forfeit their inheritance. Probate is a costly, stressful, and time-consuming process. It can become burdensome to your loved ones, especially since they may still be grieving. And, it can be difficult for a person with a full-time job to devote the time and energy needed to deal with lawyers and the court. The fees accrued for legal representation and administrating the estate can grow quickly and must be paid in full before any distribution of the estate to your beneficiaries. That may mean that assets won’t go to beneficiaries, but will need to be liquidated to cover fees. We know from experience that a successful attorney-client relationship depends on our ability to understand your needs and objectives. For more information about probate and estate planning, contact our office today at 703.995.9900 in Northern Virginia or 757.296.0580 in Virginia Beach, or visit our website: www.MeloneLawPC.com.